The Tagwalk mobile application is now available. 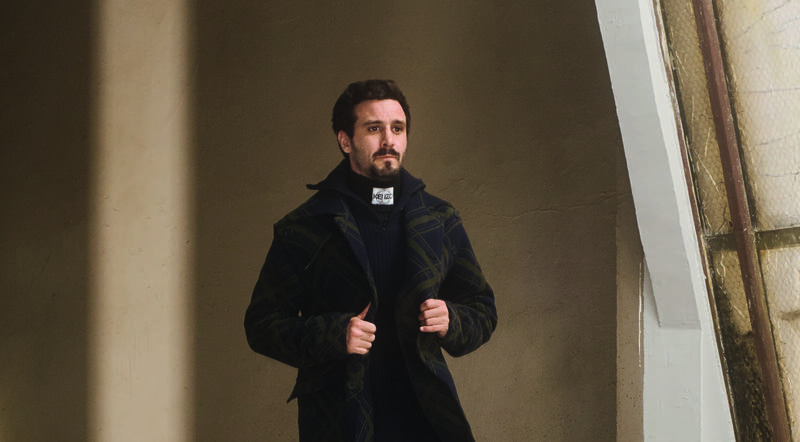 The House of Rochas is pleased to announce the opening of its first pop-up store dedicated to its Menswear line. 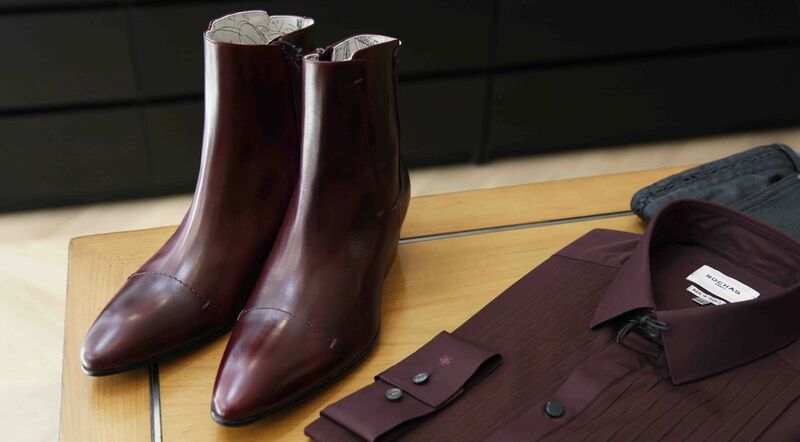 Set on Rue Saint-Honoré neighborhood, the boutique offers an exclusive selection of the brand menswear ready to wear and accessories from Autumn Winter 2017-2018 collection designed by Beatrice Ferrant. Nestled in the gardens of the Palais Royal, Café Kitsuné, open in January 2014, pays tribute to the pleasure of enjoying quality coffee in a cosmopolitan and warm place. The coffee is tasty and full-bodied, with notes of chocolate and roasted hazelnuts, a light touch of cherry, and a soft and syrupy texture that lingers in the mouth. 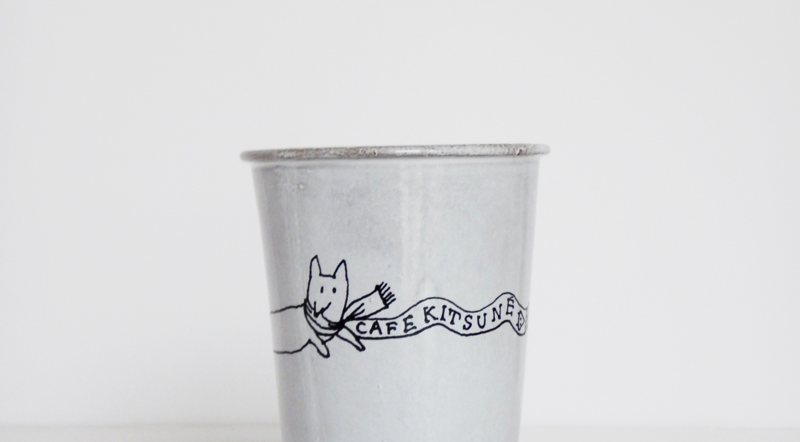 You can enjoy it on-the-go in a white cardboard cup engraved with Café Kitsuné. A single-use everyday object, to which Gildas Loaëc and Masaya Kuroki, co-founders and artistic directors, wished to give life. For this project, Astier de Villatte designers appeared as a no-brainer. Since 1996, Astier de Villatte, founded by Ivan Pericoli and Benoît Astier de Villatte, manufactures handcraft ceramics in Paris, in the tradition of the great Parisian ceramic workshops of the 18th century. Their desire is to create original and brand-new pieces, but which give the illusion of having always existed, as imaginary witnesses of a dreamed Paris. The craftwork gives each ceramic a unique piece appearance. The white enamel reveals the brown clay irregularly. Some asperities, cavities, transparencies or small holes are considered as qualities that give life and a unique aspect to the ceramics. 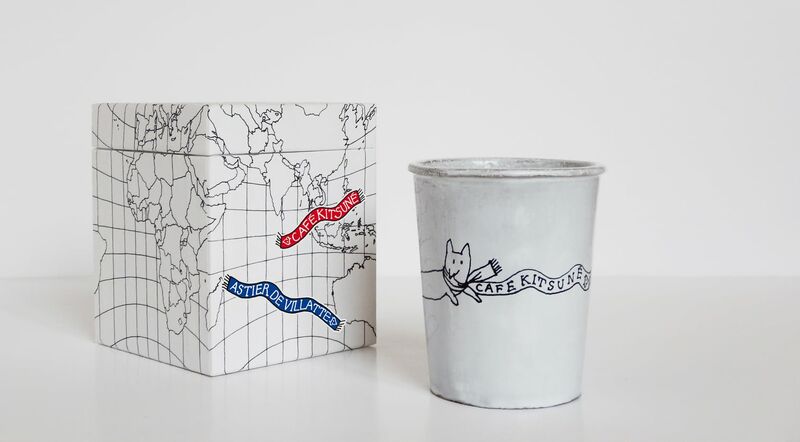 Astier de Villatte has reinterpreted the iconic Cup Café Kitsuné in a playful and refined ceramic version, where the fox, the brand's signature since its beginning, has fun and struts. 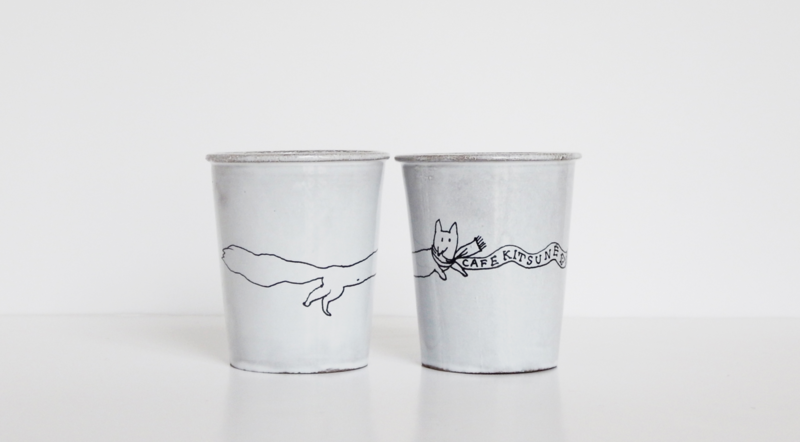 Cup Café Kitsuné x Astier de Villatte, 90€. Limited edition. Available from the 15th June 2017, exclusively at Café Kitsuné. June 2017 - The PHILIPP PLEIN FW 1718 advertising campaign takes its inspiration directly from the brands NY fashion show that took place in February of this year, a celebration of the true spirit of this iconic city and a personal love letter to the neighborhoods of New York. The words Neighborhood Kings are emblazoned throughout the collection because in this city everyone – no matter where they come from – is a king of their own hood. From the Bronx and Chelsea to Queens and the Upper East Side, there are no barriers here: music, style, race, gender, everything fuses together. Designer Philipp Plein chose to portray this unique mix that personifies New York by creating 3 collages of images taken at the fashion show, both on the runway and behind the scenes, and combining them personally with the aid of graphic artist Joerg Zuber. Featuring Jeremy Meeks, Geron, Amandine Renard, Amilna Estevaoand Avie Acosta, the result is bold and unique, a celebration of diversity, of strength and individuality. The Empire State of Plein. KENZO presents “Cabiria, Charity, Chastity”, a new film written and directed by Natasha Lyonne. This is the directorial debut by the accomplished actress and features KENZO’s Fall-Winter 2017 collections by KENZO Creative Directors, Humberto Leon & Carol Lim. “Cabiria, Charity, Chastity” follows Chastity (Maya Rudolph), on a surreal journey through a parallel plane, as she discovers that in order to face her future, she must rst reconcile her Vaudevillian past. The lm stars talent including Rudolph and Lyonne, Fred Armisen, Greta Lee, James Ransone, Matt Lucas, Macaulay Culkin, Waris Ahluwalia, Leslie Odom Jr. This is the 5th lm the French Fashion house has produced with a different writer/director. Previously KENZO has worked with Gregg Araki, Sean Baker, Carrie Brownstein and Kahlil Joseph garnering two Tribeca Film Festival Tribeca X Award nominations. 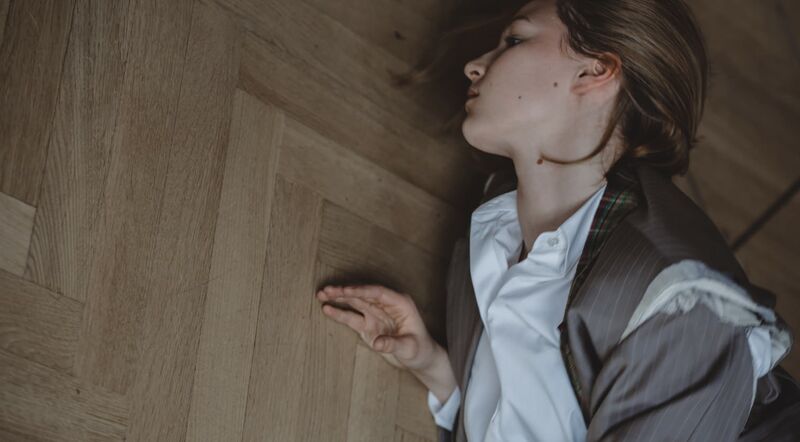 The campaign imagery was shot by photographer Casper Sejersen with costume design by Arianne Phillips. Milan, June 7th 2017 - We are pleased to present the new Ermanno Scervino Fall/Winter 2017 campaign, shot by Peter Lindbergh in Paris. The artistic partnership between the florentine designer and the renowned photographer keeps going for a seventh collaboration. The new female face of Ermanno Scervino for this season is Italian model Mariacarla Boscono. She is accompanied by the model Victor Norlander. The pictures show the two models in Paris, on the banks of the Seine. The cloudy sky and the different Parisian bridges recreate a black and white movie scene. The photos express a new sensuality, glamour and modern, enhanced by the key looks of the Fall/Winter collection. "The woman I imagined for this collection is strong and independent. She mixes genres by pairing masculine clothes and rock shoes with ultra light dresses, creating a new expression of femininity. MariaCarla is perfect to represent the face of that woman, thanks to her character, she embodies all my creations in an original and authentic manner. 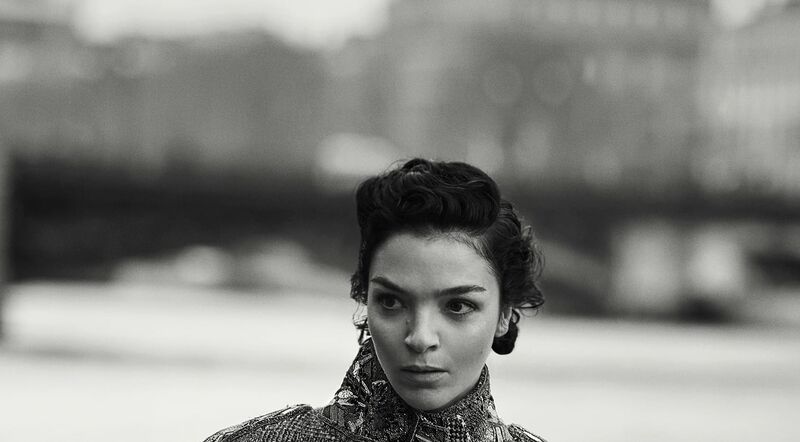 Only Peter Lindbergh, with whom I have worked for years, can photograph my idea of aesthetics", stated Ermanno Scervino. 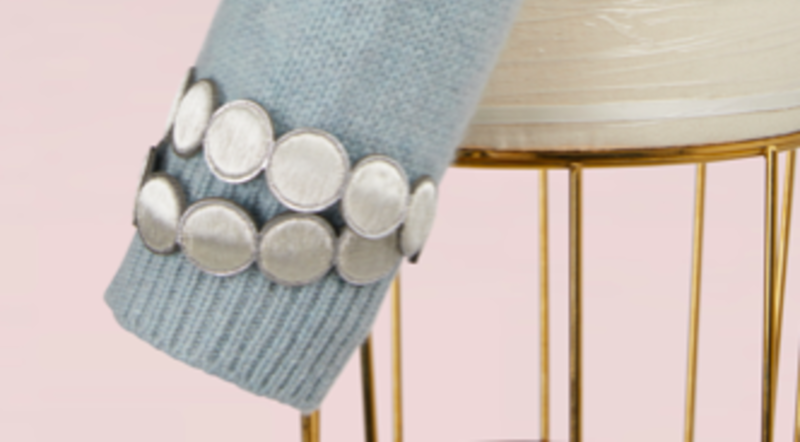 Born from their friendship, this collaboration happened quite naturally: fond of Pierre Hardy's Penny bracelets, Alexandra thought of coupling them with her Mila cashmere jumpers. Pierre chose in the Fall 2017 Tricots collection the colors Poudre and Gris to pair them with the Penny Gold and Silver bracelets. Alexandra went looking for embroidery techniques to create the new version of these bracelets. It is a prestigious workshop, among the best of the Métiers d'Art, that makes them in Paris, after the metal model. Those are embroidered with gold or silver threads. 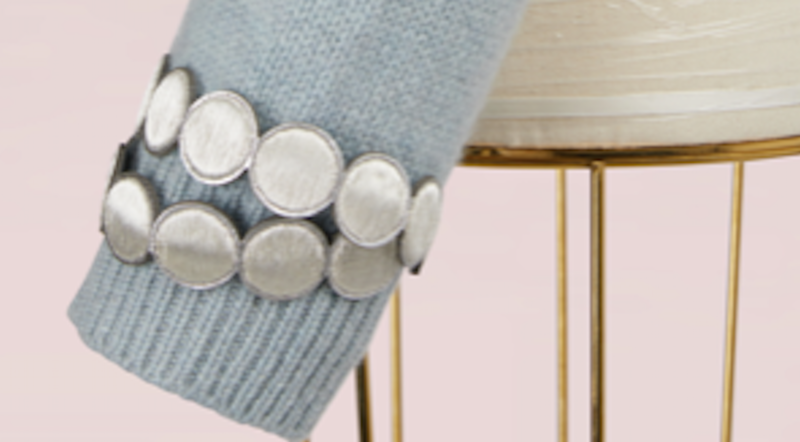 Two bracelets are sewn by Alexandra on each jumper, at the end of the left sleeve. 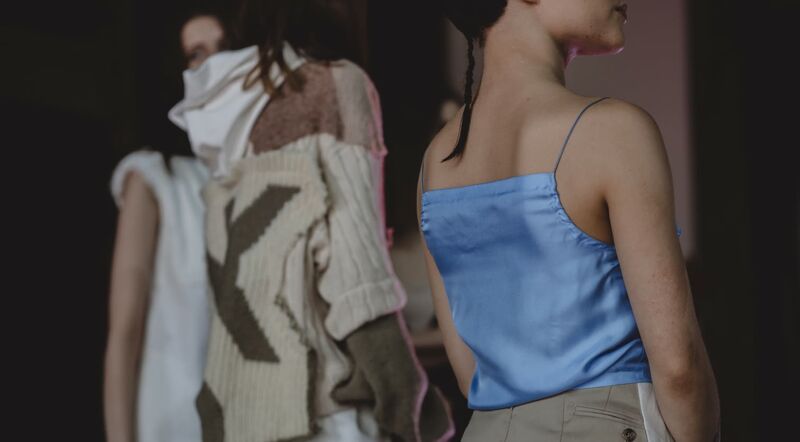 In the end, it is an exclusive and luxurious knitwear, made in 30 copies only (15 in Poudre-Gold and 15 un Gris-Silver), sold on the 24 Sèvres website and at the Bon March Rive Gauche. Today, June 6th 2017, 24 Sèvres becomes the go-to address for online ready-to-wear shopping. 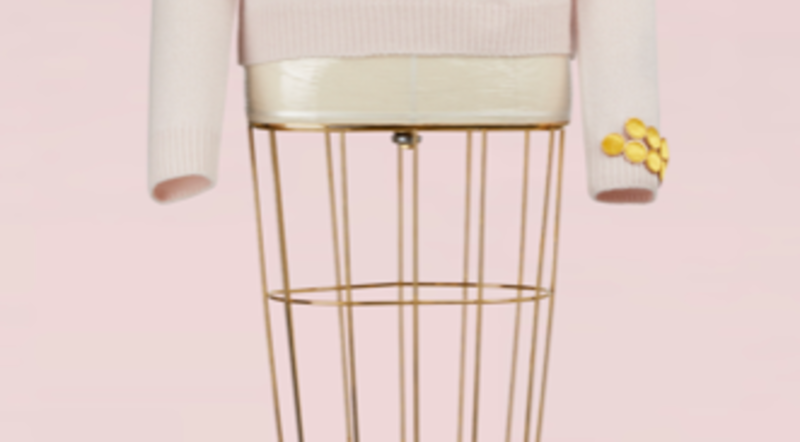 To celebrate its launching, the new digital platform has asked several designers to create exclusive items that will be only available on 24Sevres.com and at the Bon Marché in Paris. 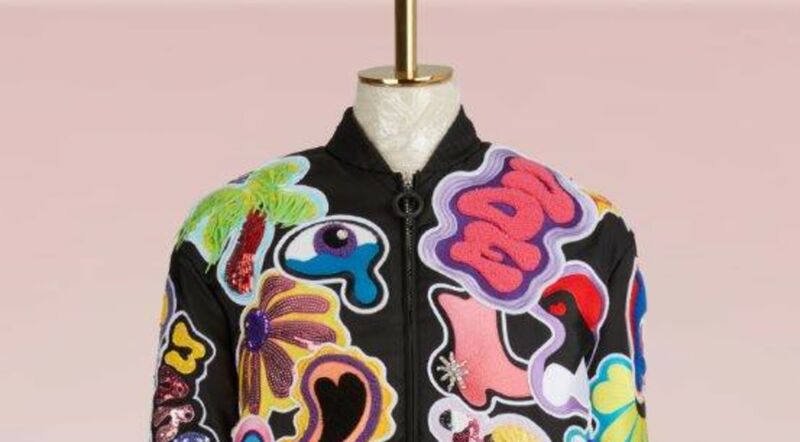 Fashion designer Marco de Vincenzo and Italian illustrator Giò Pastori have joined forces to create a bomber jacket with patches representatives of the emblematic patterns of the illustrator. 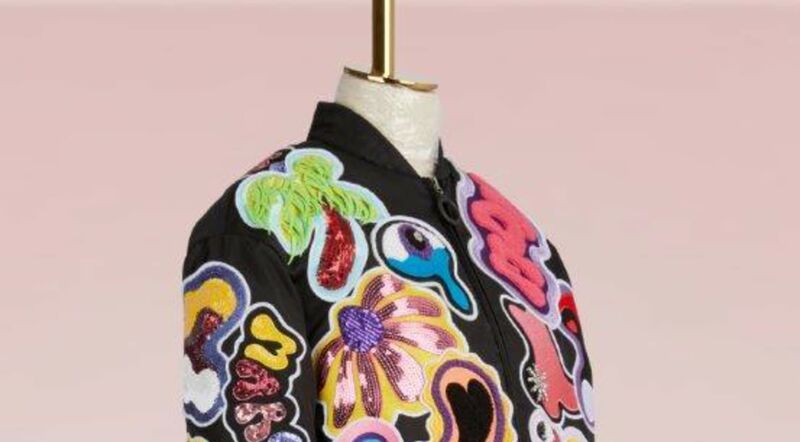 Inspired by pop art and American icons from the 70s to the 00s, the patches are applied with different techniques such as sequins or flat and audacious seams with several kinds of threads. These embroidered patches are what makes this bomber jacket unique. 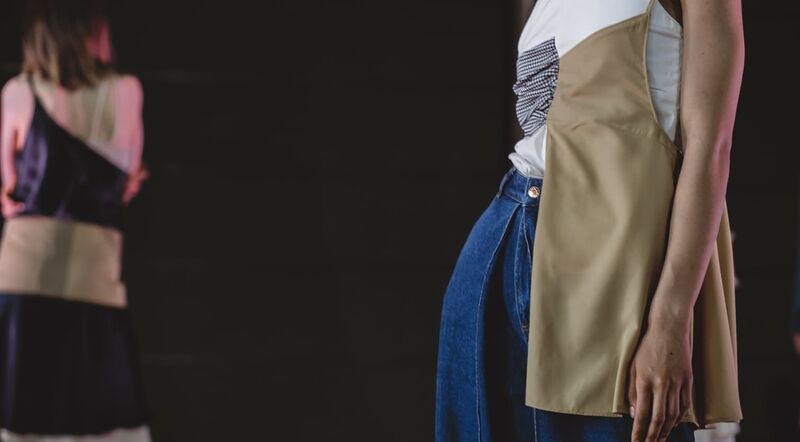 The jacket costs 2400 euros and will be available exclusively at 24sevres.com, on the 24 Sèvres iOS application, as well as in the Bon March Paris. "Giò Pastori's work made me think of multiplicity. I have tried to chose only one or two pictures but it was impossible. There was something so powerful in the camouflage of his ideas that to chose only one would have been like lowering the volume of one of your favorite songs. This is how the bomber jacket for 24 Sèvres was conceived: while thinking of an infinite color palette, but made of dolphins, heats or even stars. 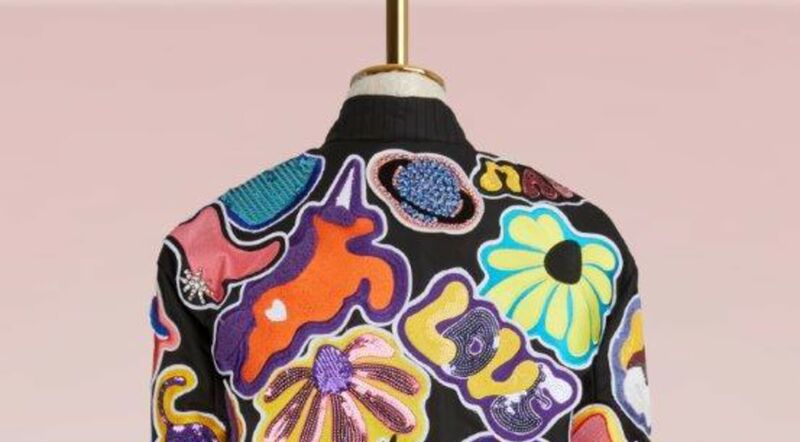 Hundreds of embroidered patches coat the entire jacket like a customized piece. 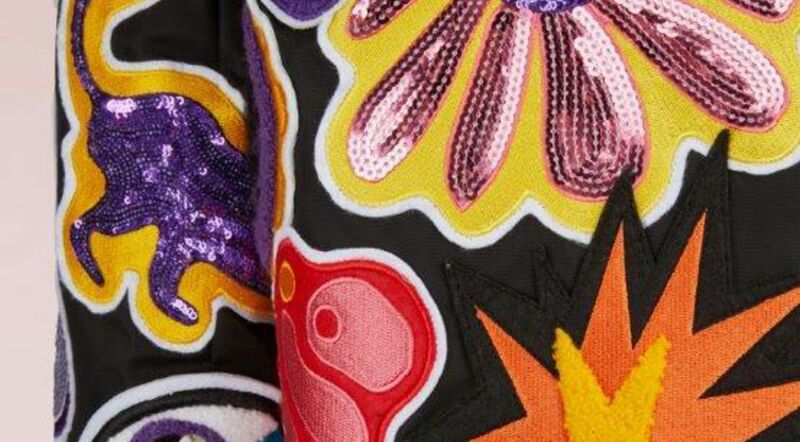 There is something so iconic and so lively about pop art, this is why I decided to use that kind of imagery," explains Marco de Vincenzo about the collaboration. "I have always admired Marco's work. When he asked me to take part in the project, I immediately thought that I could do something really fun. We looked together at some of my collages where I interpreted my favorite pieces of his collections. 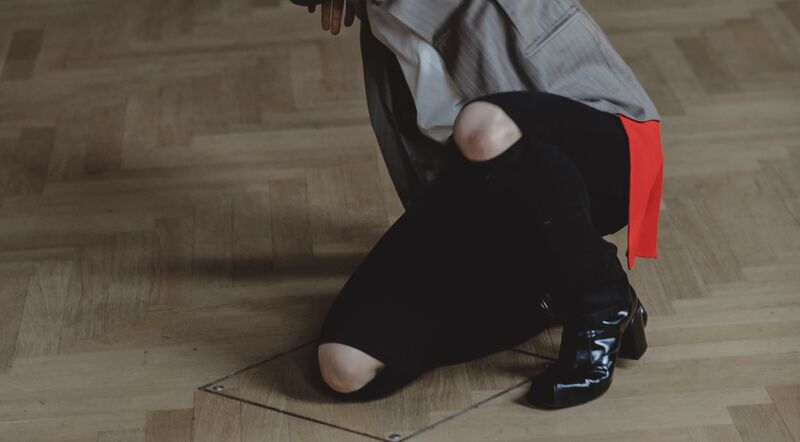 This is how he got the idea of the patches and it was perfect! I then suggested some of my works to reproduce as psychedelic patches. 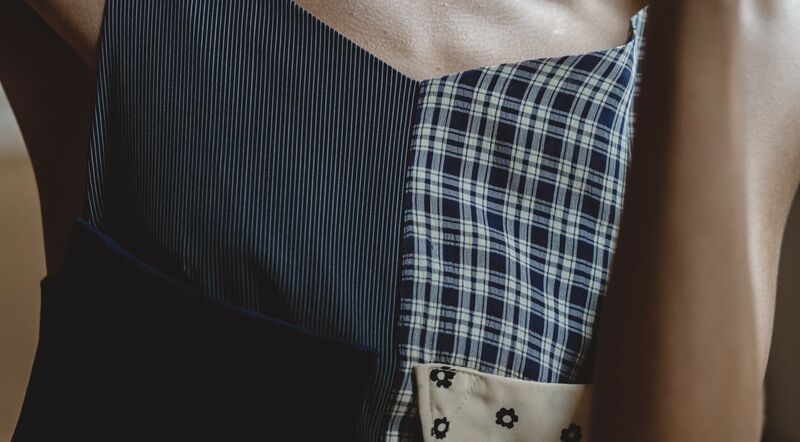 The result is that piece of clothing with precious embroideries that truly fascinates us both", goes on Giò Pastori. Following seasons in New York and Los Angeles, the third TOMMYNOW global launch will take place in London’s iconic Roundhouse music venue with an experiential “See Now, Buy Now” runway event. TOMMYNOW will feature looks from the ‘Hilfiger Edition’ menswear collection for the first time, in addition to ‘Hilfiger Collection’ and the third ‘TommyXGigi’ capsule designed in collaboration with supermodel Gigi Hadid. 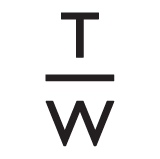 AMSTERDAM, THE NETHERLANDS (June 1, 2017) – Tommy Hilfiger, which is owned by PVH Corp. [NYSE: PVH], will close London Fashion Week with the Fall 2017 TOMMYNOW experiential runway event on Tuesday, September 19, 2017 at 7:00 p.m. BST. Building on the success of “Tommy Pier” in New York City for Fall 2016, and Spring 2017 “TOMMYLAND” in Los Angeles, the London show reflects Tommy Hilfiger’s continued commitment to bringing TOMMYNOW to new cities and audiences around the world. The Fall 2017 TOMMYNOW fashion show will include men’s looks from Hilfiger Edition, marking the first time since 2010 that the brand’s men’s and women’s collections have shared the runway. Hilfiger Edition pays homage to Tommy Hilfiger’s storied menswear heritage, with time-honored classics reimagined to form the building blocks of an essential menswear wardrobe. The show will also feature Hilfiger Collection, the brand’s most premium womenswear designs, and the Fall 2017 TommyXGigi collection, the third collaboration with supermodel and global brand ambassador Gigi Hadid. Following the sell-out success of the first two TOMMYNOW shows, the Fall 2017 event will build on the brand’s signature “See Now, Buy Now” format. 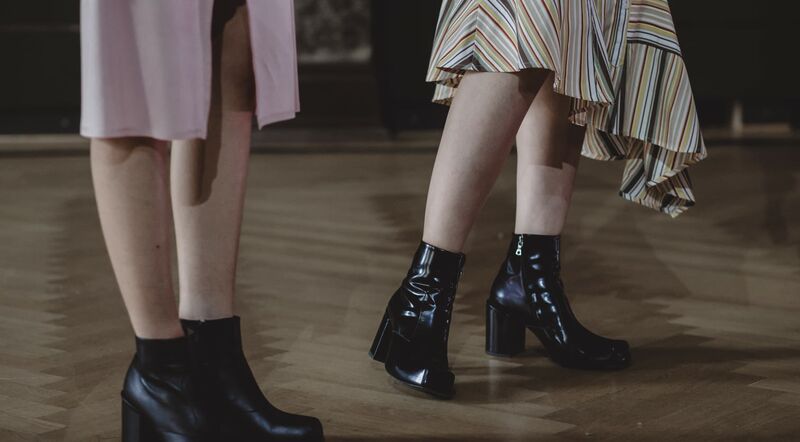 All men’s and women’s runway looks will be available across an ecosystem of immediately shoppable channels in more than 70 countries, including Tommy Hilfiger stores and tommy.com, select wholesale partners, social media, shoppable live stream, the innovative 3D image recognition SNAP:SHOP app, and the A.I. powered TMY.GRL conversational commerce bot for Facebook Messenger. Initially constructed as a turntable engine shed in 1846, the Roundhouse house transformed into a legendary concert venue in the late ‘60s with over a decade of performances from the Rolling Stones, The Beatles, Jimi Hendrix, and more. Situated in Camden, the Roundhouse is at the center of London’s rock-and-roll history, and continues to host performances by the top artists of the modern era. 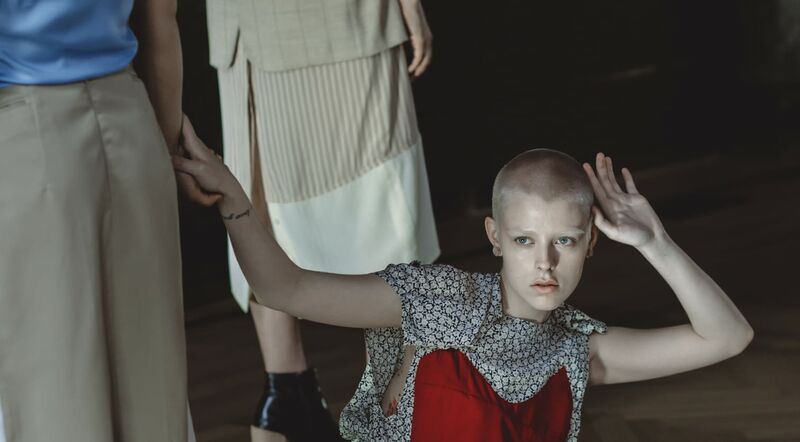 AFTER NATURE ONE is a choreographed installation bringing together fashion, dance and performance. Stemming from AALTO International’s fascination with the ‘90s youth culture of the house music scene, it explores the themes that lie at its roots: the youthful energy, its evolution and exchange. The choreography channels this unsettled nature in its own way. A choreographic score is looped several times during 2-hours of performance of singular movements, translating the constant flux that is the essence of the adoles- cent experience. Every now and then a dancer enters into a burst of ecstatic energy while others remain in formation. Only once repeated by several performers, the individual acts of rebellion. 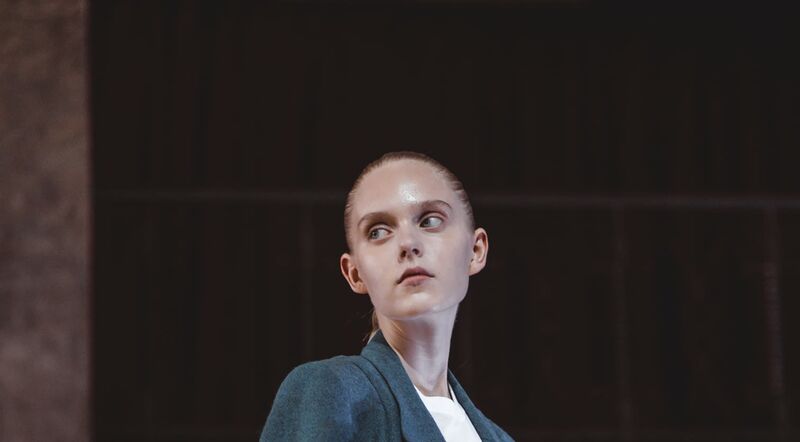 The collection is, as the performance, a collaborative act. 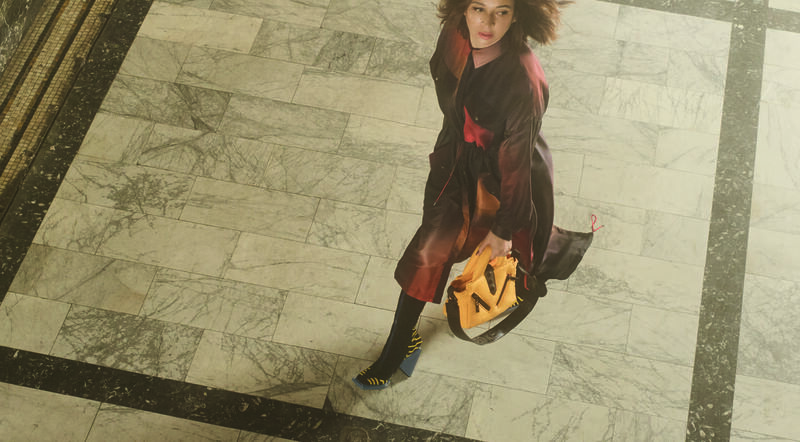 Vintage clothing has been taken apart and reassembled into new incarnations of AALTO International’s staples. The result is a strong feminine silhouette in fresh combo of creams, blues, greens and red. 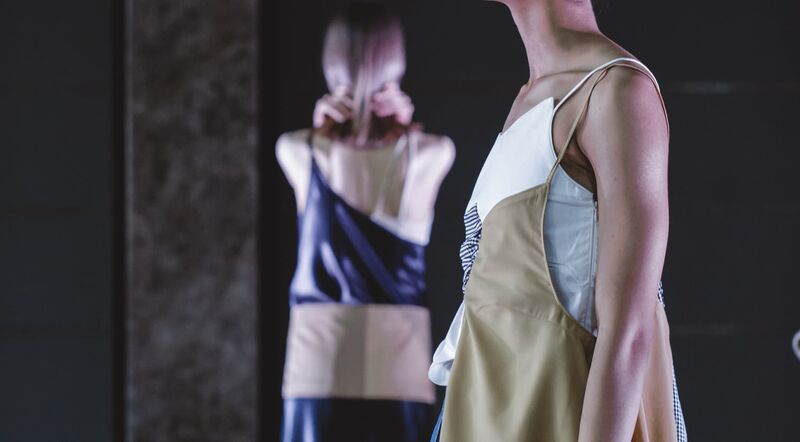 On a wider scope, the collection reflects what could be the future of luxury fashion commitment to sustainability. The parallel with youth culture extends here - resources are limited, where a restless mind finds a way to create new, reworking the old. The AALTO AFTER NATURE ONE is presented during the Pre Helsinki’s 5th annual event, promoting the Finnish fashion in Helsinki. Ima Iduozee is an awarded choreographer and performer who works extensively in the fields of theatre, dance and performance. His debut work “This is the Title”, premiered in Helsinki (2012), with acclaim from both critics and audiences. The work has now toured in 12 countries across Europe, North America and Asia. Iduozee’s earlier commissions include works for Stockholm City Theatre, Helsinki City Theatre and Pori Dance Company. 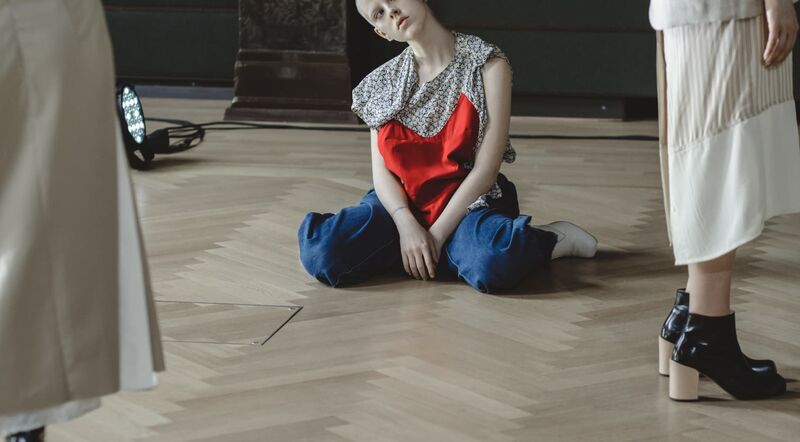 In 2015 the annual honorary prize of the Finnish Critics Association, ‘Critics Spurs‘, was given to Iduozee, as an acknowledgement for the best artistic breakthrough of the year. Iduozee was selected as an Aerowaves Twenty artist for 2016, with his solo work “This is the Title”. Iduozee graduated from the Arts University of Helsinki. 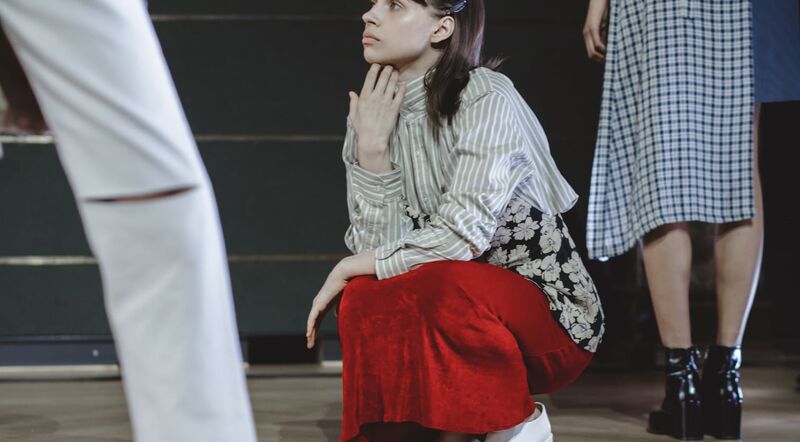 A surrealist garden full of gigantic begonias, colossal hibiscuses and unreal tulips came to life in the fantastic world imagined by Artistic Director Julia Haart. Drawing inspiration from Georgia O'Keeffe's and Peter Max's work, Julia Haart made appeal to her favorite artworks, from both pop art and the modernist movement, to breathe her psychedelic creativity into the Pre-Fall 2017 campaign.